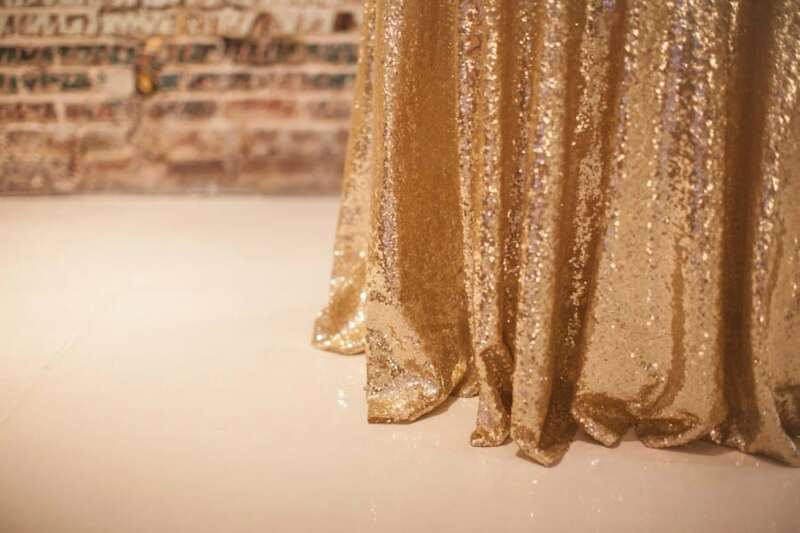 Golds, Metallics, & Sequins OH MY! 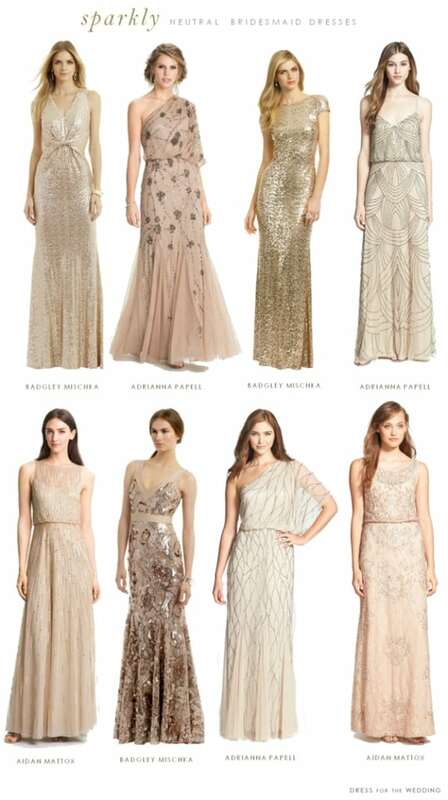 Glitter and Glam Weddings seem to be all the rage right for 2015. We are 100% on board with this trend. It seems so timeless and universal. Whether you are going for a 1920’s Gatsby, Old-School Flapper . . . or . . . you want to be “ahead of the times” . Mix in a little feather and/or color with it, sky is the limit. 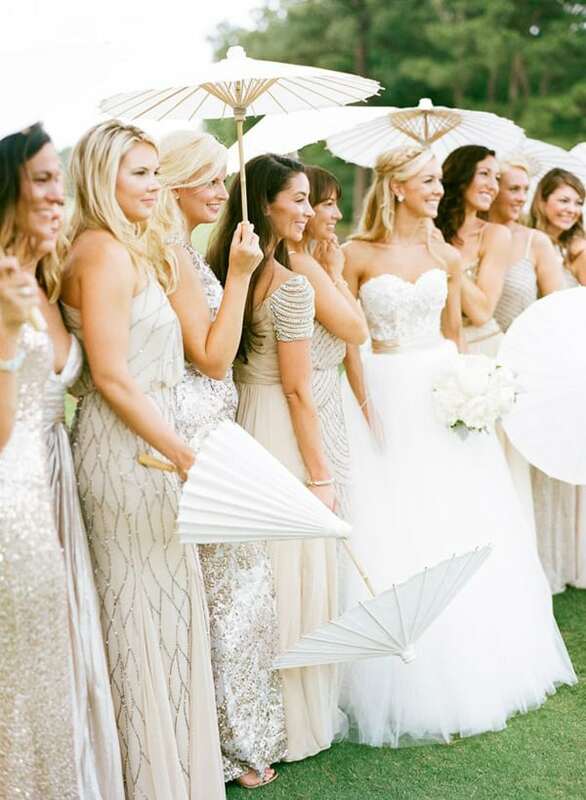 These parasols offer a contrast in theme and we love it! 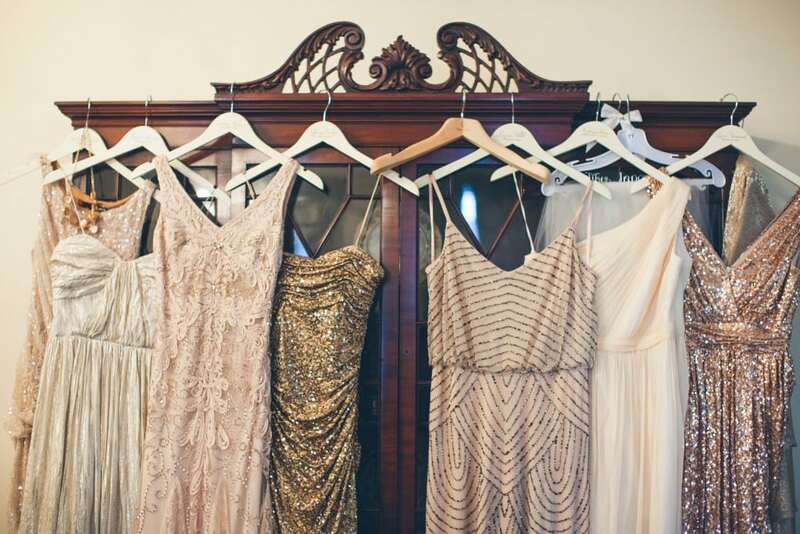 A little Southern charm along side the glamorous gowns! 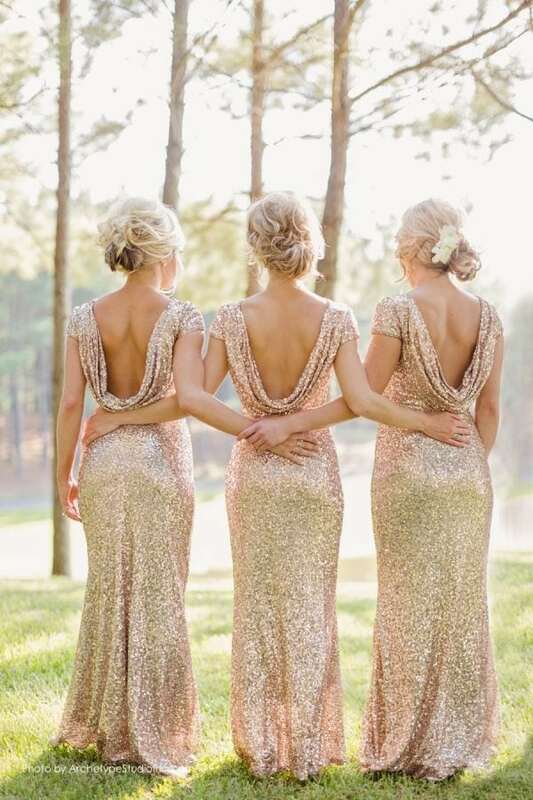 We love these sparkly gowns from Sloane and Ricks wedding that was recently featured on our blog! 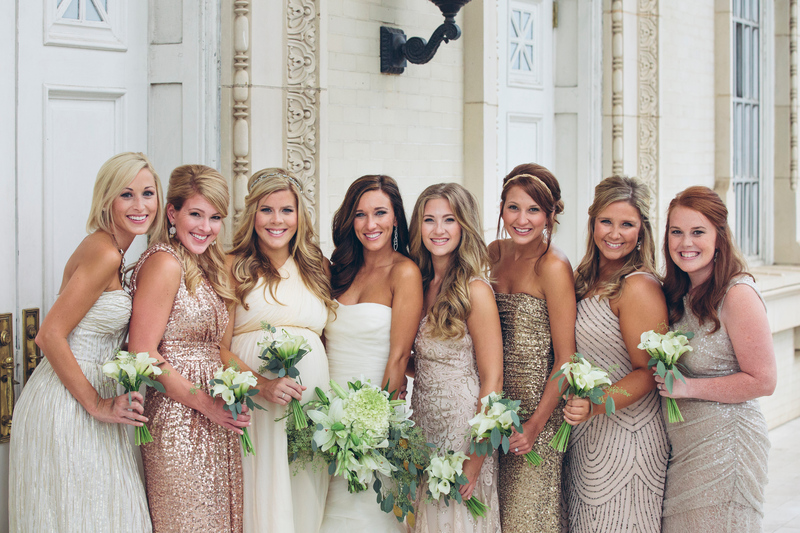 Sloane and her bridesmaids were absolutely stunning! And since the trend is one of our favorites we have our own take of bringing a little glitter and glam to your I Do’s. Check out our heavenly gold sequin round table cloths captured by A Still Breathe Photography. 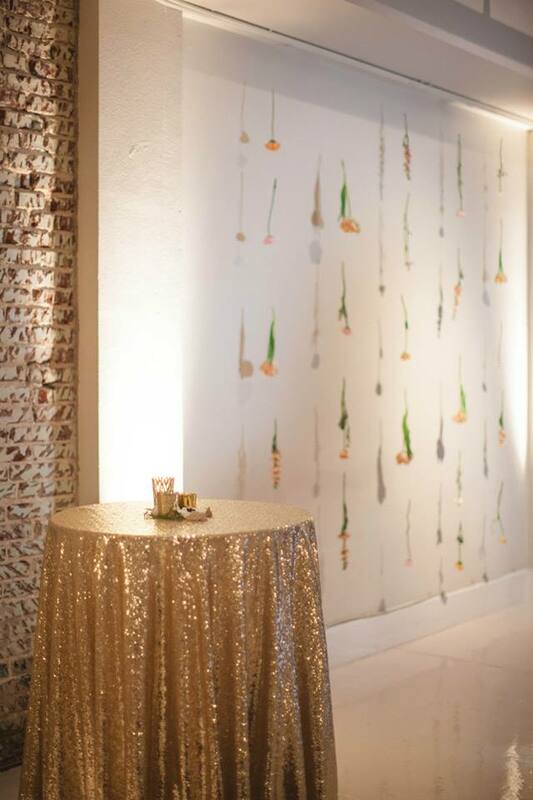 Email info@DecortoAdore.com, for more information about sequin linens.